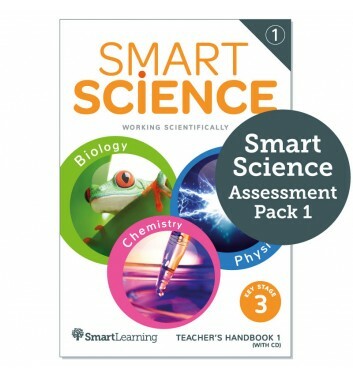 Due to popular demand and feedback from our Smart Science customers, we’re now offering Science teachers the opportunity to purchase our comprehensive Smart Science Assessment Packs. Each Assessment Pack is linked to the 2014 Programme of Study and compatible with any Scheme of Work for Science. This flexible, cost-effective solution to Key Stage 3 Assessment in Science will provide you with the perfect platform to assess all students whilst preparing them for GCSE success. This digital Assessment Pack 1 (extracted from the comprehensive Teacher’s Handbook 1) will be made available to download in both PDF and Word format once purchased from Smart Learning. You will find one End-of-term test for every science discipline for each term of the Scheme of Work. These tests will provide a summative assessment of your students’ knowledge and understanding in a particular area at the end of a term’s sequence of lessons. For each End-of-term test, you will find a student test paper as well as a Marking Guide. The Marking guides use the Progress escalator levels from the Smart Science Knowledge and Skills Assessment Model as a guiding principle, giving you a guide as to the level a student will attain if they consistently answer questions of that level correctly. To conclude learning for Year 1 of your chosen Scheme of Work, this pack includes a synoptic End-of-year test which has been designed to assess students’ knowledge and understanding across the science disciplines. This test comprises a student test paper and Marking guide. The format of this test is modelled on a full GCSE examination paper, with three sections that each comprise shorter questions, gradually increasing in difficulty followed by a six-mark question. The test contains a high degree of synopticity, thereby encouraging students to demonstrate their breadth and depth of knowledge and application across all science disciplines and topics. As with the End-of term tests, the Marking guides for the End-of-year tests use the Progress escalator levels from the Smart Science Knowledge and Skills Assessment Model as a guiding principle, giving you a guide as to the level a student will attain if they consistently answer questions of that level correctly. Each test is available in PDF and editable Word format with the associated Marking Guide. 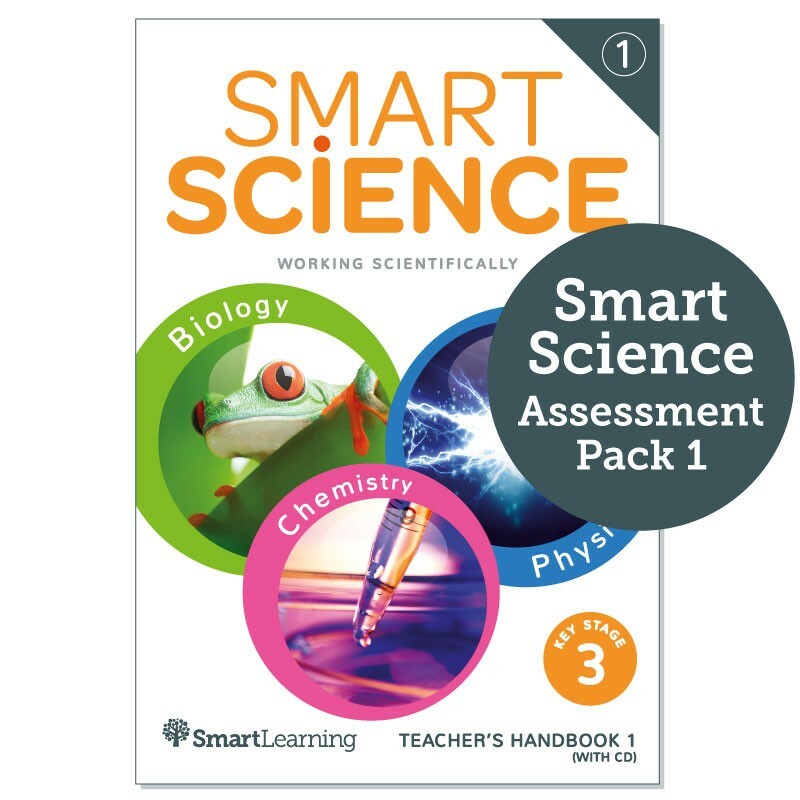 If you have any questions about this Assessment Pack then please email science@smart-learning.co.uk or contact us on 01423 206 200. Should you decide to upgrade to Teacher’s Handbook 1, when you see how great the Assessment Pack is, you are entitled to a 50% discount –for the full Scheme of Work, lesson plans, structured questions, practicals and investigations, PowerPoints, literacy activities and much more. The Assessment Packs are not available on approval.